Don Bartlett is the translator behind some of the most read and talked about Norwegian books of recent years. 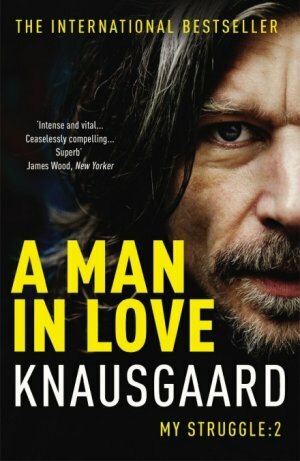 From Jo Nesbø’s successful crime books to the titanic introspection of Karl Ove Knausgård and his seminal My Struggle series. 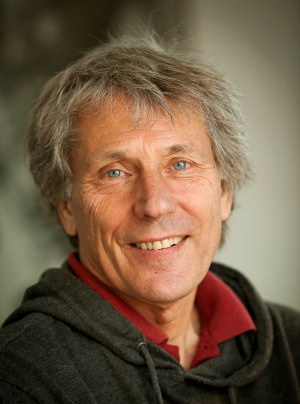 Bartlett has worked with some of the biggest names in Norwegian literature and has helped make their books into international best-sellers. We caught up with him at the National Centre for Writing in Norwich’s Dragon Hall to chat with him about his career as a translator, the runaway success of Knausgård’s My Struggle, the recent rise in Norwegian literature and just how difficult it is to translate dialect into English. It is fair to say that the work of a literary translator does not always go fully appreciated. Despite being responsible for the actual written words on a page, we hear very little from them. A foreign-language book is translated, released, it receives critical acclaim, sells thousands upon thousands of copies and the writer is applauded. That all seems fair enough but the translator often gets barely more than a name or a few notes somewhere. Don Bartlett is just one of these many translators. It is perhaps unlikely that you will have heard of him but he has translated some of the most read and most discussed books of the last decade. Works that can accurately be described as literary sensations. 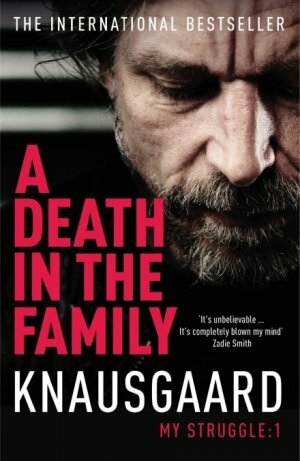 Like the first ten novels in Jo Nesbø’s Harry Hole series and Karl Ove Knausgård’s mammoth six volume, 3600-page My Struggle, from which the final co-translated book of the series has just been released. Foreign-language literature has boomed in recent years and Bartlett has been at the front of this movement. Things have definitely changed since Bartlett first started work as a translator. After studying German at university, he began to think about literary translation as a career but soon realised how difficult a path it was. “I talked to a career’s advisor and she said, ‘are you bi-lingual? Did you go to Oxbridge?’. I said no to both and she said, ‘well you haven’t got a chance!’ So I left it, I went and did other things,” he says. Bartlett started to teach but then began an MA in Translation at the University of East Anglia, got to know the business and finally took the plunge to become a freelance translator – “all seat of the pants stuff”. The market for translated books was quite different to the legions of titles released today, with publishers reluctant to take the risk on translations. “In those days I think there was a genuine mistrust of translations and it was quite difficult. Publishers would tell us that there was no call for translations, that people didn’t like them and they didn’t like subtitled films. It seems incredible now but it was like that,” Bartlett says. Indeed, between 2001 and 2015 the number of translated books published in English rose by 96% to a point where it makes up a total of around 7% of all fiction sold in the UK. But it is not just translated fiction sales that have soared. 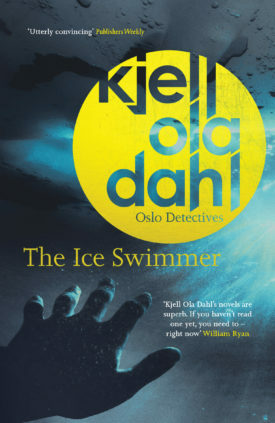 It’s Nordic noir and Norwegian books in particular. And Bartlett is the man behind a lot of it. Originally a translator of Danish to English, having lived in Denmark, his first Norwegian translation came in 2002, a time when things began to change for himself and translated literature. It was at a book fair in Copenhagen where he saw Jo Nesbø and called the foreign rights editor at his publishing house for books. The first translation was The Devil’s Star, which was released in 2005. 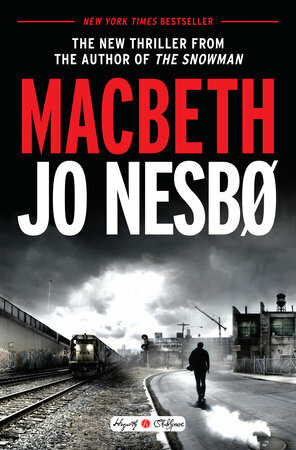 Nesbø has now sold over a billion books worldwide and many hundreds of thousands in English, translated by Bartlett. “Nesbø started and it was a very slow burner. But then Stieg Larsson came in and that really changed everything. Then people could see that translation could make a lot of money and attitudes changed,” he says. To what, though, does Bartlett attribute the incredible success of Nesbø’s novels? “I always thought that Nesbø had taken on cinematic techniques in his books, there was movement – switching between scenes, one exciting moment to another exciting moment – and a lot of strands to the story. I think that had an impact. And of course there’s a good range of characters,” he says. The settings of the novels too were instrumental, the vivid imagery of the Norwegian landscape, both urban and rural, written into the books. “Norway sells itself really – mountains, snow, nice summers, fjords, and strong women. It’s breath-taking for us. And then many people live in towns and you have these vast expanses, unoccupied and uninhabited. It’s perfect territory for crime,” he adds. The biggest concern for any translator, Bartlett says, is finding the right voices, making them consistent and getting the characters right. And there could have been fewer voices more important to get right than Knausgård, whose incredible, self-reflective six volume work of autofiction – a sensation at home (over 500,000 copies of volume one were sold in a nation of five million) and abroad – has been almost entirely translated by Bartlett. The interest around Knausgård has been as much about the content and the form of his confessional, highly-detailed works as it has been about the overall sales. His work has been for many people utterly addictive and compelling. For Bartlett, it all started after a panel discussion in London. “I asked him what he was doing and he said he was writing six books and I asked him what about and he said ‘well, basically about me’,” Bartlett says. The first volumes of the books were released in Norway, Denmark and Sweden in 2009, launching a debate on autofiction and what it means to write about ‘real life’. Two years later and Bartlett was approached by publishers Harvill Secker to see if he wanted to take on the first two novels. He was instantly impressed by what he read. “I read the first six pages and thought this is absolutely fantastic,” he says and he accepted the job. But what was the reaction from the man himself when he sent off that first translation? “I did the first 50 pages and then I asked him to read through and just tell me if I had got the tone right. Because, as I said before, the voice was important. He wrote back and said yes. I don’t think we had a huge amount of contact after that,” Bartlett says. “Even though I have met him now and again and I talk to him and we get on very well he was happy not to “interfere” and I was happy to work like that as well. I knew that if there were serious problems I could talk to him, I had his e-mail address and I could contact him but actually, I didn’t. I just got on with it,” he adds. Were there any doubts as to how well it would sell in English or how it would even be received, cultural differences and all? A few, says Bartlett, who also had his own reservations about whether he could translate the entire six volumes. “I found them quite a challenge. I would do one, it would take five or six months and then I’d have six months and I’d do other stuff. By the time the year had passed I was ready for another go,” he says. The working pattern from the first book continued until volume six, despite the challenges that the length, density and the form of the work, with few paragraphs and no chapters, provided. Finding something lighter after working on each volume was necessary. “I was asked if I could speed it up. But I couldn’t. 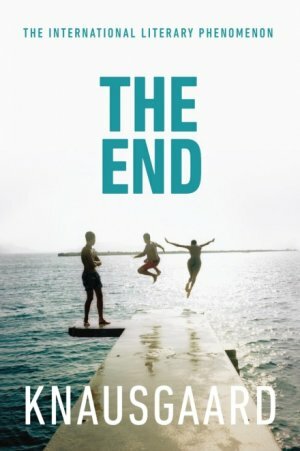 It just takes so much out of you.” The final volume in the series – The End, published in Norwegian in 2011 – was split between Bartlett and Martin Aitken. This was always going to be the case – a 1200-page long book would have been simply too much. Could he or the publishers have known just how successful a rather niche-seeming Norwegian work like this would be outside of Norway? Not on this scale, no. “It caught us all by surprise. I think it took him by surprise as well. I thought that if you jump from Scandinavian culture to English-speaking culture there would be more cynicism towards it – actually there was some,” Bartlett says. This cynicism, Bartlett believes, was down to the amount of self-scrutiny and philosophising in the book, something some readers were less willing to take on. “But gradually people gave him the credit he was due. I think people nowadays accept that you will either like it or you won’t,” Bartlett adds. Translating though, is as much a creative process as a scientific one. And there was plenty of creativity with some of the passages in My Struggle, such as with Karl Ove’s brother Yngve and his love of puns. They are, by nature, a very difficult thing to move from one language to the other. But they are part of someone’s character and cannot be removed. “I remember spending hours trying to work out how to reproduce a pun using the same context and ideas. Sometimes it wasn’t too difficult but there were a couple of occasions where it was actually impossible. So, you have to recreate a joke with the same love of language that Yngve has,” he says. 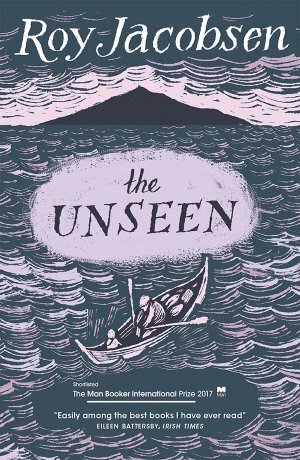 Perhaps the most creative a translator must get is with the seemingly impossible task of translating Norwegian dialect, which Bartlett had to do for Roy Jacobsen’s The Unseen, the first book in a trilogy. Is dialect not, ultimately, untranslatable? “Nothing is untranslatable, it’s just a question of how you approach it. With this dialect we went through lots of possibilities. I spent some time reading Scottish dialect from the islands but, in the end, they sound Scottish and that won’t do. We had to invent our own dialect, which is a mixture of a lot of different things so that it stands out as being separate from the norm,” he says. Bartlett found this exciting but there was some back and forth between the publishers, the translators, editors and Jacobsen himself until they found a consistent original dialect that wasn’t jarring. It is a risky move, Bartlett says, as dialect in literature can pall on the reader if there is too much of it. “We had to judge not only the quality but also the quantity, how much of it to take. In the second book in the trilogy we limit it,” he says.